Craving for Thai bbq steamboat? 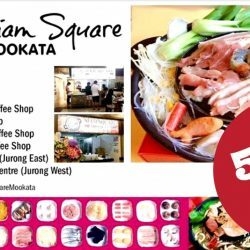 Head down to any of Siam Square Mookata's 9 outlets tomorrow and celebrate their anniversary with them! You get 50% off your total bill when you grab a table of 4 or more (children not included)!